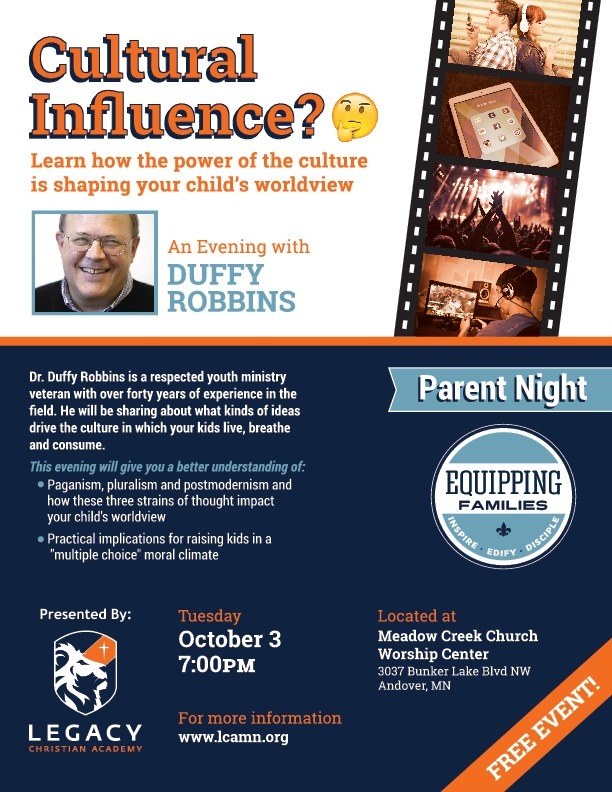 In support of Legacy’s Spiritual Emphasis Week, Equipping Families is proud to bring you respected youth ministry veteran, Duffy Robbins, speaking on the topic of “Cultural Influence,” sharing about what kinds of ideas drive the culture in which your kids live, breathe and consume. Paganism, pluralism and postmodernism and how these three strains of thought impact your child’s worldview. Practical implications for raising kids in a “multiple choice” moral climate.